October Before and After Party! Hey hey! I totally spaced it on this month’s Before and After Party – I guess all I was thinking about was my project fail I told you about yesterday. (Thanks for all the ideas by the way, I think I have a solution!) And hello…October has totally sneaked up on me in general. People, it will be Christmas before we know it!! So let’s kick it off by sharing just a few of the awesome projects linked up last month! I am and will always be a sucker for white and wood together! Aren’t those knobs awesome too? Love that dresser! It did not start out that beautiful cherry red! Who would have thought?? Just gorgeous! I’ve had the same plan for a table for the dining room turned library – I hope it turns out half this good! 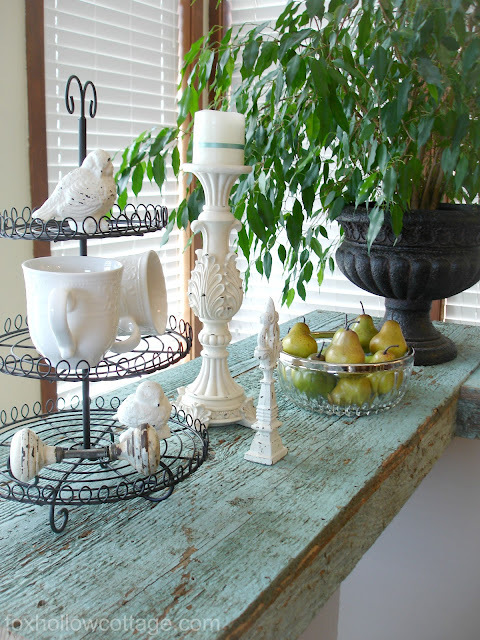 She shares how she painted them with a weathered wood finish here. Beautiful! I love that aqua color! What a cool idea. I especially love the little touches she added to the bunk bed to make it feel like fort. How fun is that? Such great inspiration, yet again! Like always, please visit their respective sites to pin any images you love! Oh my gosh! What an amazing group of projects. I'm officially inspired, thanks! Thank you for hosting! I look forward to it each month! Have to say a big THANK-YOU for featuring our fence board counter we did. I'll make sure and let my hubby know :) He did all the work on that one! Have a great Fall!! Great ideas and inspiration here! Thanks for hosting! Fantastic features. Thanks for hosting. Thanks for hosting! Great features. Hope you have a wonderful week! Love a before and after linky party. Thanks for hosting. Thanks so much for hosting Sarah! I always love your monthly parties - so much amazing inspiration! Thanks for hosting! Fabulous features ... such amazing creativity! Thanks so much for hosting, Sarah, and allowing me to share my revamped breakfast area. Happy Fall! Congrats to all those wonderful re-do's that were featured! Haha ... I'm glad I'm not the only spacey one! And you're spaciness saved me from making the same mistake you did with the cars ... I was planning to do something similar in my little boys room but will now be rethinking! Loving the party btw, what fun ideas!!! I love that ottoman you featured! Thanks for hosting! Thanks for the party Sarah! 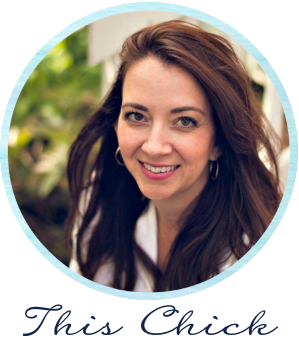 I love linking up here each month :) You have the best linky guests!! Great to look through and get inspired! Thanks for hosting this party, Sarah. I love that picture frame vignette. I've done something similar in my living room, but wasn't sure about it. Great to see it in someone else's home to validate it in my own. However, never thought about mixing up the knobs on the sideboard - love that! Thanks so much for hosting again. Love the before and after pics! I've already got a few ideas from this link up party, not to mention some magnetic metal strips may be in my future office soon! Thanks for hosting. Thanks so much for featuring my upholstered ottoman. It looks like there are so many great projects linked up, I can't wait to check them out! Such pretty features this month--thank you so much for hosting the party for us! Thanks for the partay! 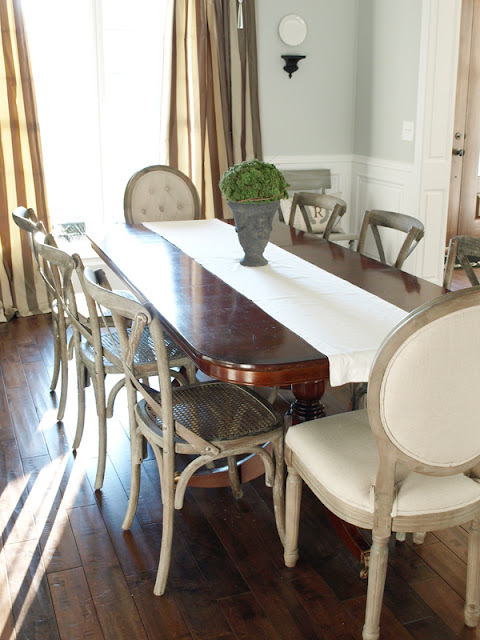 Loving that dining room - those chairs are gorgeous! WOW! Thank you SO much for featuring my gallery wall!! I was so super excited to see it featured on your lovely blog! Thanks again so much Sarah! thank you so much for hosting a fun party! I love it around here!